A library brings together two boys, reveals some secrets, and leaves them speechless. Like some kind of 'rite of passage' Kevin's mother had taken him and his older brother to join the children's library. An example of Victorian philanthropy, libraries were an intrinsic part of any urban municipality, like schools, swimming pools, parks and sports grounds. It was the world of Thomas the Tank Engine, Aesop’s Fables, books of all different sizes, thick books, tiny books, books with pictures, books with dragons and witches and who knows what other magical creatures. It must have been a year after that incident in the library when Kevin first met Jack. Kevin had asked his dad if he knew how to play chess and could he teach him. His father told him he was sorry but he didn't have the time, which was very disappointing, but not unexpected. Jack didn't miss much and he didn't miss the other boy's startled reaction. "Sorry," he added. "Didn't mean to scare you. I just thought, well if you like chess and you live round here…" He trailed off what he was saying, suddenly struck by something about this other boy, something he just couldn't put words to, but something made him stop talking. Jack was never usually lost for words. 'Some Boys' by Michel Davidson. Jack felt his heart beat faster as he excitedly removed it from it's resting place hidden amongst all the other books, and flipped open the front cover to read the summary. There was no hiding, he held up the book, then quickly put it down again. Kevin's eyes scanned the title and followed the book down. Jack saw him blush. ‘What now’, he thought. “Shall we go?” Kevin was asking like nothing had happened, as if he’d noticed nothing at all. For the second time since he’d met this boy Jack was speechless. “Before it rains,” Kevin added. If you enjoyed reading this story, please let me know! Authors thrive by the feedback they receive from readers. It's easy: just click on the email link at the bottom of this page to send me a message. 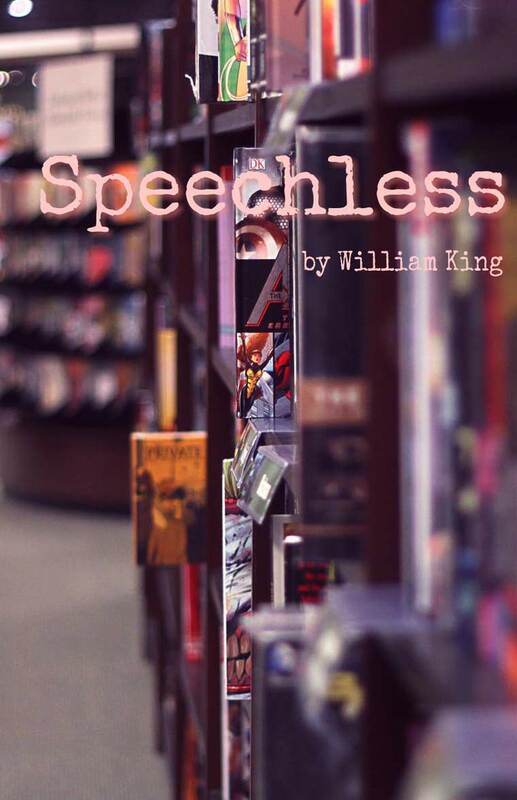 Say “Hi” and tell me what you think about ‘Speechless’ — Thanks. This story and the included image are Copyright © 2017-2019 by William King; they cannot be reproduced without express written consent. The original image is under the terms of the Creative Commons License CC0. Codey's World web site has written permission to publish this story. No other rights are granted.